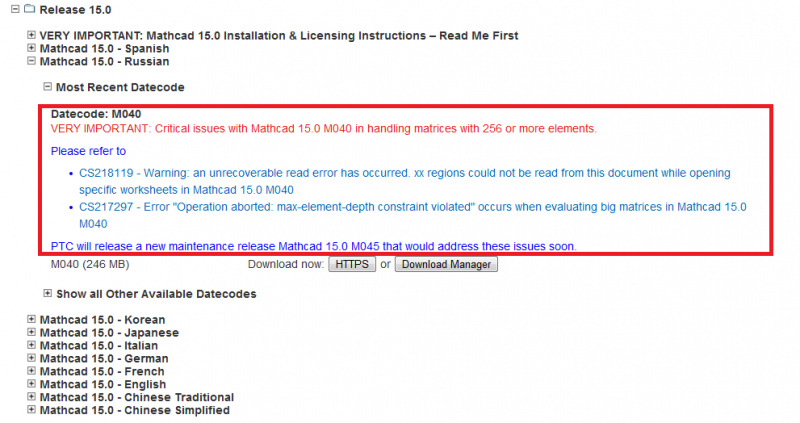 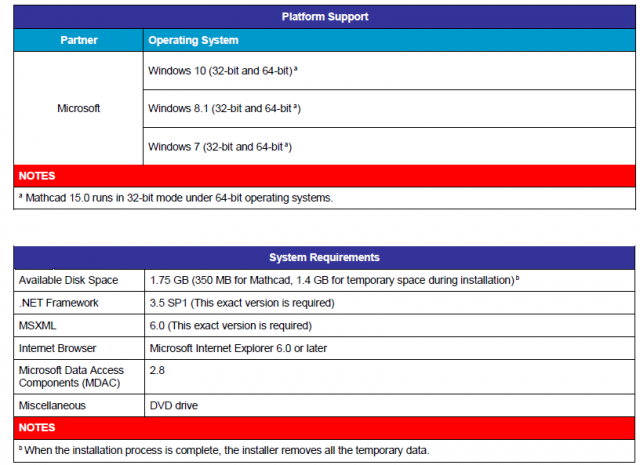 "VERY IMPORTANT: Critical issues with Mathcad 15.0 M040 in handling matrices with 256 or more elements. 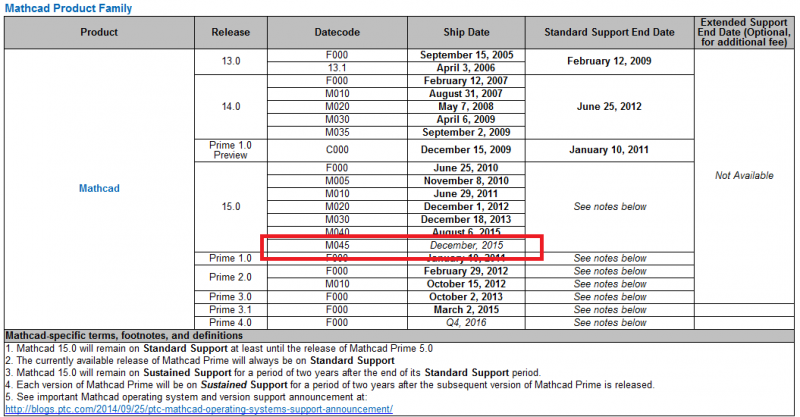 PTC will release a new maintenance release Mathcad 15.0 M045 that would address these issues soon." 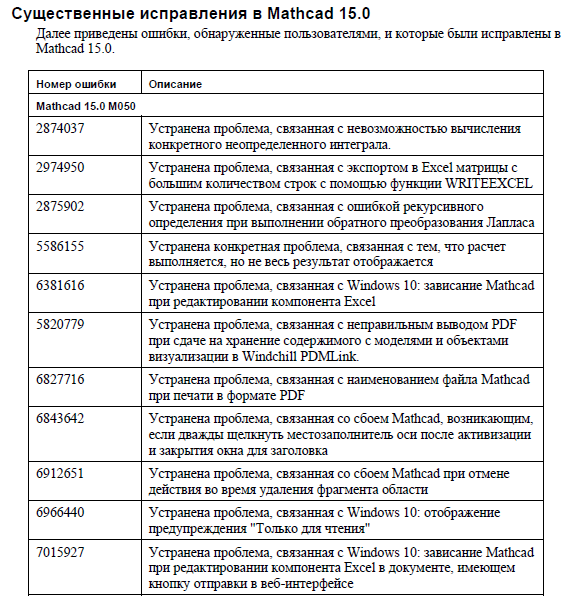 Основное нововведение в этом релизе - это полная поддержка ОС Windows 10.